Major political and economic shifts have succeeded one another over the past twenty-five years. The rise to prominence of ecological issues, social changes generated by neoliberal globalization, and - most recently - one of the worst world economic crises ever, compels us to reflect urgently on the need for alternatives to the capitalist system. 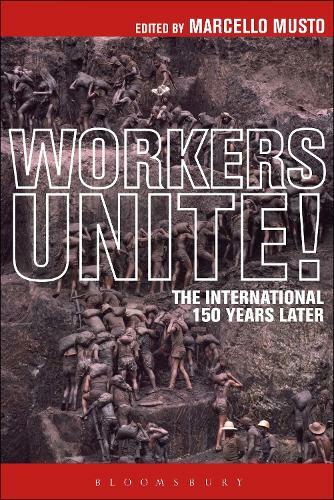 In its brief life, the International Working Men's Association (IWMA) became the symbol of class struggle and influenced the ideas of millions of workers all over the planet. The 150th anniversary of its birth (1864-2014) offers an important opportunity to reread their resolutions, to learn from the experiences of its protagonists, and to better theorize solutions to our contemporary issues. This sourcebook includes the most valuable documents (30 appearing for the first time in English) of all the currents of the IWMA, and, in his introduction, acclaimed scholar Marcello Musto provides critical evaluations to the texts and to their historical context. Carefully selected and translated, this volume is an invaluable resource for all those interested in the foundations of labor movement history's as well as in the critique of capitalism.